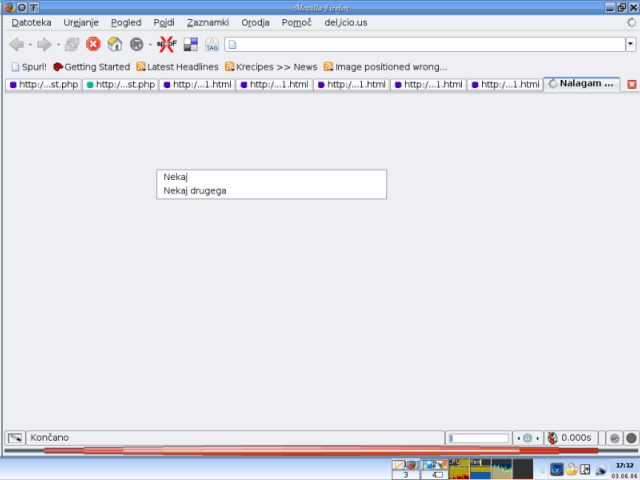 I am making new webpage for my school and part of this is web UI for adding pages. Yesterday I was making the UI and when I clicked on the link for a fraction of a second some box showed up in Firefox, just before Firefox showed the page. I have asked a friend If he has seen the box and he wasn't. I thought I was crazy. But after some time I could filmed this strange thing with my camera. And then patiently and after many tries I could make a screenshot too. What was that?